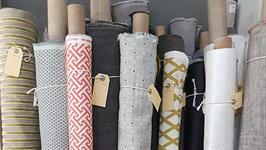 Rolls of fabric – Having beautiful fabrics in your home is therapeutic. Exquisite Cuts prides itself on Home Therapy. 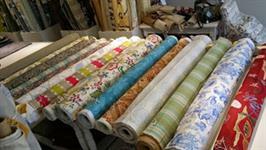 We have rolls and rolls of exquisite fabric in store that is bound to up your levels of excitement. 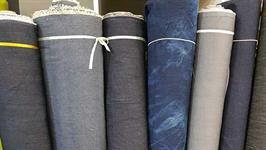 These fabrics range from upholstery to curtaining in all the latest designs and colours. 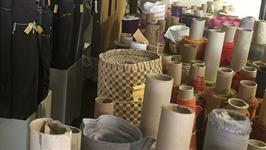 Remnants – Remnants are the part of a line of fabrics that have either been left over or discontinued. Exquisite Cuts stocks these remnants for our creative clients who do incredible things with them. People have covered headboards, up styled an old ottoman. 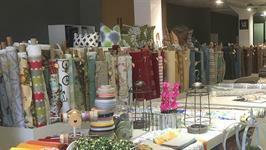 Some of made stunning footstools, or even just framed fabric to create interest in a room. The possibilities are as endless as your creative mind.